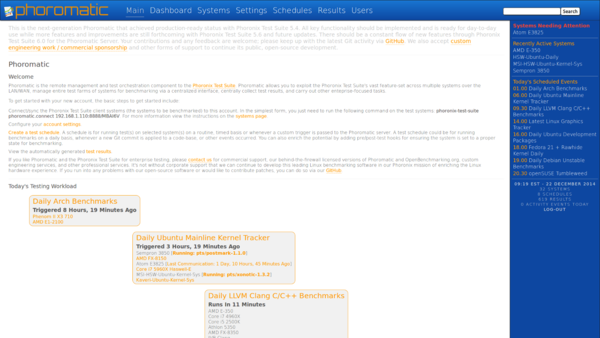 The Phoronix Test Suite can be used for simply comparing your computer's performance or internal quality assurance purposes under Linux. Results from the Phoronix Test Suite are displayed in a results viewer with optional support for uploading them to PTS Global. This software is based upon the internal tools and extensive Linux benchmarking work done by Phoronix since 2004, with input from tier-one computer hardware vendors. The Phoronix Test Suite ships with over 50 tests and 20 suites.